In Austin, concrete seal coating application is one of the most effective ways to protect the integrity of your concrete. As you know, concrete is a remarkably strong material. Composed of crushed rock, sand, cement and water, concrete can withstand an impressive amount of exposure to the elements, not to mention vehicle weight and vehicle fluids. Because this material is so strong and durable, it’s probably not surprising that it can be somewhat costly to install concrete, particularly if it involves covering a large area. Keeping that in mind, it only makes sense to protect your concrete investment in order to avoid having to replace the concrete surface entirely. 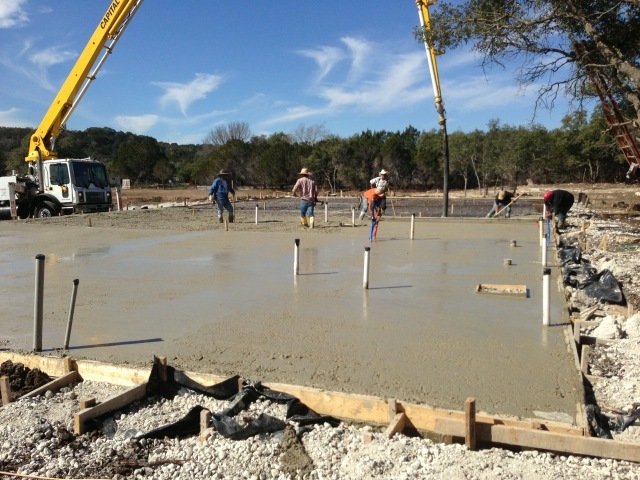 Changes in temperature and other Austin TX weather conditions can cause damage to your concrete over time. Once you see cracks forming, it’s important to have them repaired as quickly as possible. If you want a concrete seal coating applied – which is highly recommended by our experts at Bennett Paving Inc. – you’ll need to have any cracks repaired ahead of time. Fortunately, our paving experts are not only specialists in seal coating, but in crack filling as well. We’ll be sure to respond promptly to repair your concrete surface before applying a seal coating. Having a seal coating applied to your concrete surface on a regular schedule can help protect the concrete from damage. And that means your hard surface is likely to last much, much longer than if it were left untreated. It’s well worth the relatively small investment in concrete seal coating to save you the expense of replacing your paved surface before its useful life is through! At Bennett Paving Inc., we’re proud of the many years of experience that our trained expert staff offers to our customers. Not only do we have plenty of experience with concrete seal coating in Austin Texas, but we also make sure that each and every job is done with only the finest quality materials and with the highest degree of quality work possible. And we’re careful to keep our prices fair and reasonable as well. That’s why Bennett Paving customers are always satisfied with the end result! We’re so pleased to be living and working in Central Texas, and we know you are as well. That’s why it’s so important to choose a local contractor for your concrete repair and maintenance needs. When you choose a local contractor, you’re supporting our local communities and businesses. Using an Austin contractor is even more important when it comes to concrete and asphalt paving, since both of these surfaces are susceptible to damage from weather. And who knows our local climate better than people who live and work here? Our trained staff understands what Central Texas weather is like, and they can recommend the best repair and maintenance routines to keep your concrete looking as good as new! Call us today for a free estimate and more information about concrete seal coating in Austin.